Do you sometimes want unbiased advice on solving a problem? Do you also want to rely more on your intuition and grow while dealing with challenging situations? Tarot can be daunting, and the answers can be ambiguous when they come from someone else. This book helps you find your own answers using your own inner wisdom in a structured way. By far the best book on the Tarot that I've heard/read yet. So insightful and inspiring. 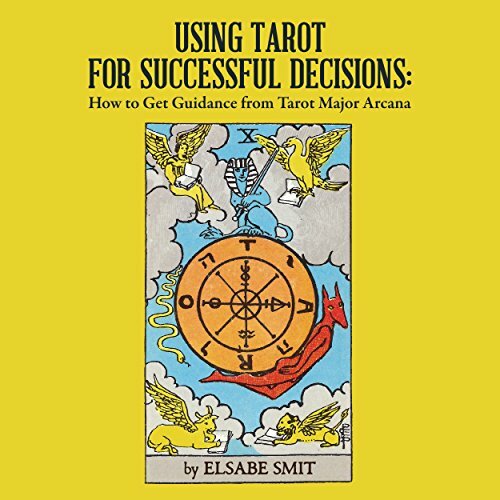 I've listened to 4 other Tarot books from Audible since I became interested in the topic a few months ago as well as reading many books but Elsabe's book brought the Tarot to life for me. Also, when I started drawing cards for myself, I was most often confused by the meanings because I was looking in the books. But when I listened to this audio book, everything suddenly made perfect sense. The author's exotic accent lent a bit of mystery and fun to the experience.